What AWG size of wire do I have to use? 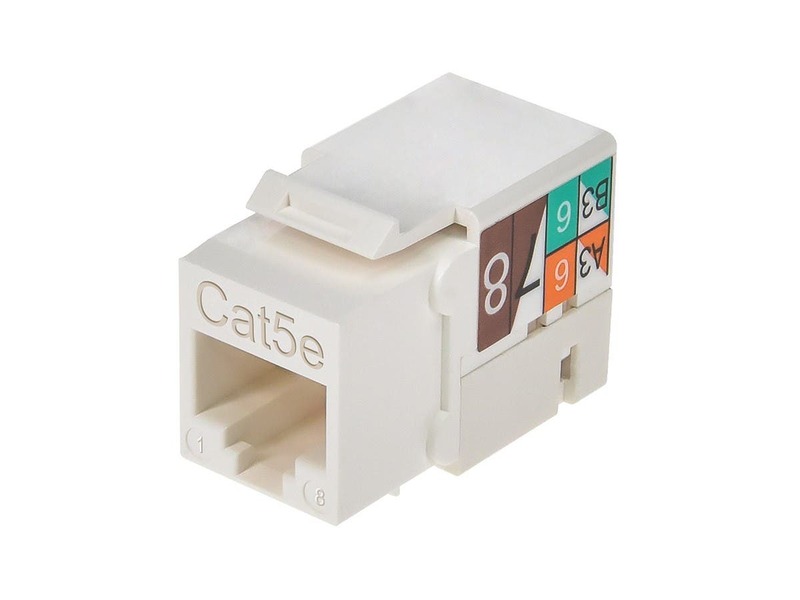 BEST ANSWER: No specific AWG is specified to use this with Cat5 cable. It should work accordingly. Thank you! Will this plate work with the 5376 Keystone Jacks? What is a compatible patch panel for these jacks? BEST ANSWER: Any patch panel is compatible with these keystones. The Keystone does not need to be match any particular Patch Panel. 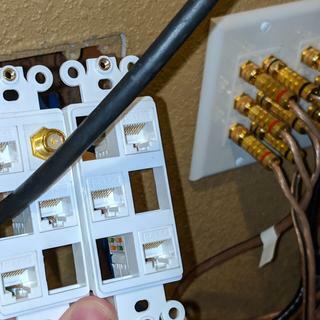 Can I use 6 5376 Keystone Jacks with this wall plate? Will they fit side-by-side? BEST ANSWER: They will not fit side by side in this wall plate. I would recommend 15682. Does this come in light almond color? They work fine, but you can not put them next to each on a 6 keystone plate. I ended up having to stagger the connections rather than having them all neatly together. I will purchase again when needed. Far cheaper than local retail stores. Easy to install wires. No connection problems. Excellent product, good value. A little hard to force the covers over the wires to clamp them down however. Works well. 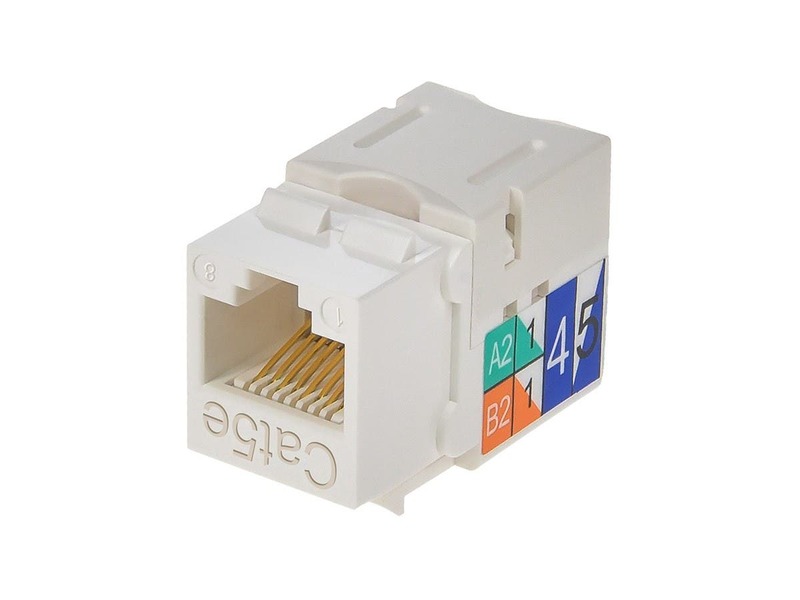 Upgraded my jacks to Cat5e from Cat5 for gigabit Ethernet. Install was easy as I already had Cat5e cables in place. I ordered the red color ones and got the white ones. Just wanted to let you know. 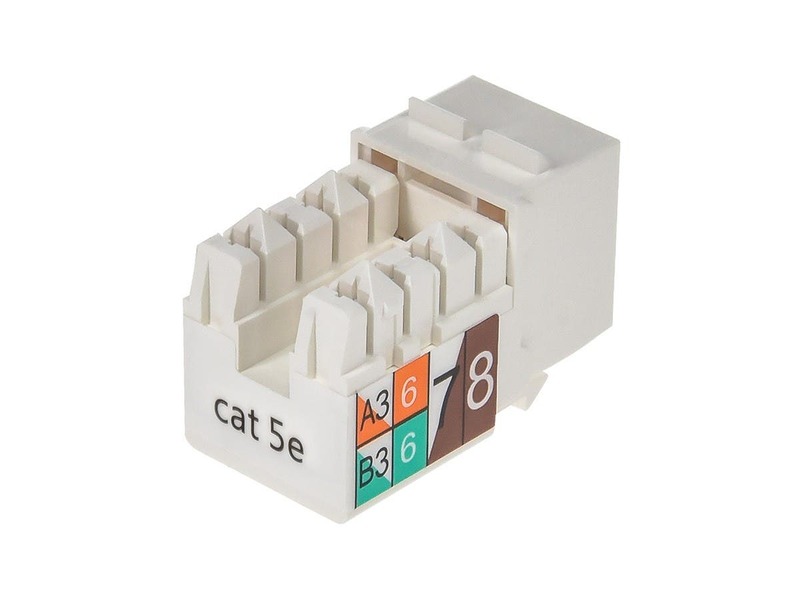 These Cat5e connectors were by far the best price I found. I ran several Cat5e cables from my router to my PC and Smart TV and these worked perfectly. I’m a little impressed, didn’t know what to expect as I normally use another brand at work. 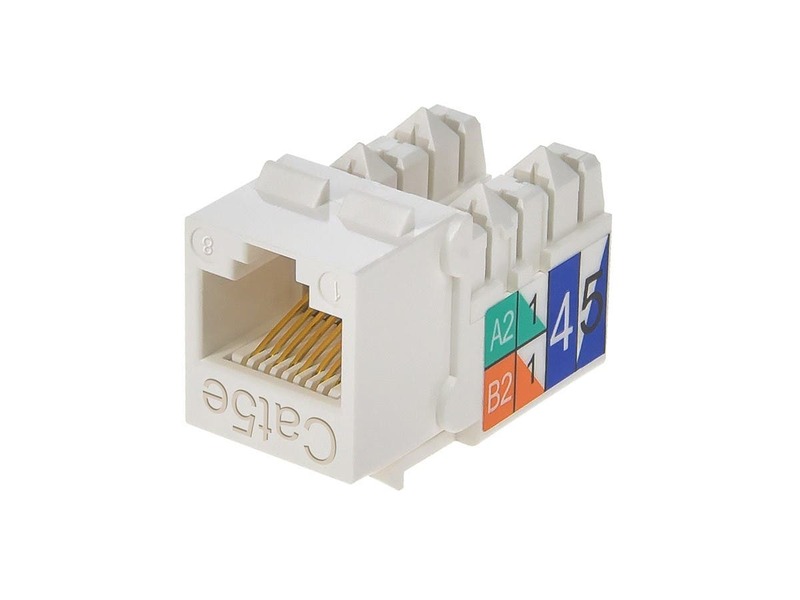 These seem to handle POE and 1 gig connections without any loss in signal. I see very little errors across any other the lines. I love the fact they sent clips to hold the ethernet cords in and a zip tie. All the products are install and working.